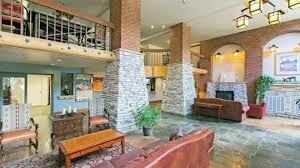 7 nights (Sat-Sat) accommodations at The Park City Peaks Hotel (hotel rooms) with daily breakfast, 5-day lift ticket, and nonstop RT air on Delta from Washington Reagan (DCA) to Salt Lake City (details below). Add $791 for the single supplement if you want a room to yourself. The basic lift-ticket package includes 4 days at Park City/Canyons and one day at Deer Valley (4 + 1). 65+ seniors save $103. Non-skiers may deduct $400 for the package without lift tickets. Pricing on extra-day lift tickets is available during the registration process. Special pricing will be needed for Epic Pass holders (who have benefits at Park City/Canyons) or Ikon Pass holders (who have benefits at Deer Valley).